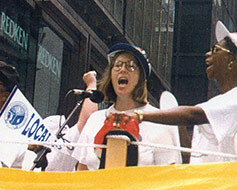 Debra E. Bernhardt (1953–2001) was an activist, an archivist and a labor historian dedicated to documenting the undocumented history of workers in New York City. She saw the potential of LaborArts to further that mission, leaving it along with a wealth of other initiatives to carry forward her inspired and inclusive work. The photos on this page each link to a different facet of that work (all of it done with the broadest possible participation). LaborArts welcomes contributions of resources to share, and plans to expand the information available here in the months to come. 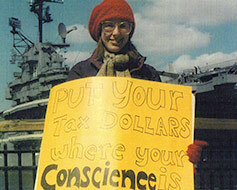 Activist “Put your tax dollars where your conscience is” reads the sign Bernhardt carries at a War Tax Resistance protest in the early 1980s. 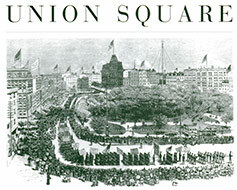 Archivist As head of the Robert F. Wagner Labor Archives Bernhardt built an extraordinary collection of documents, photographs, oral histories and artifacts documenting the history of NYC workers. 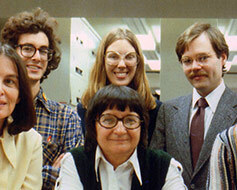 Oral Historian “New Yorkers at Work” was a documentary radio series broadcast in 1981 featuring excerpts from hundreds of interviews Bernhardt and other Archives staff collected. 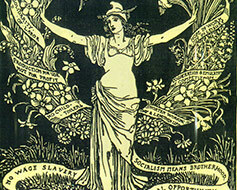 May Day Art This May 1902 Walter Crane illustration from a Tamiment Library collection served as the art for the May 1, 1984 wedding of Debra E. Bernhardt and Jonathan D. Bloom. 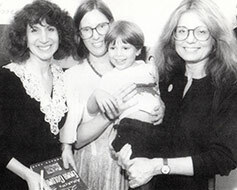 Spotlight on Women Gloria Steinem at a Tamiment talk on anarchist leader Emma Goldman, one of many events drawing activists, scholars and unionists into conversation. 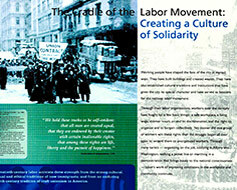 Music The galvanizing role of music in protest movements and labor struggles inspired Bernhardt as she both documented it and enthusiastically participated as a member of the Labor Chorus. 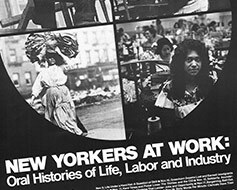 Traveling Exhibit Building on the New Yorkers at Work project with images and additional interviews, the “Ordinary People, Extraordinary Lives” exhibit opened in New York’s City Hall in 1998. 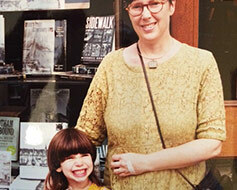 Extraordinary Lives Sonia Bernhardt Bloom joins her mother in front of the book display in the window of Poseman Books on University Place.